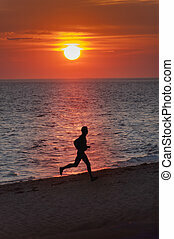 Sunset runner. 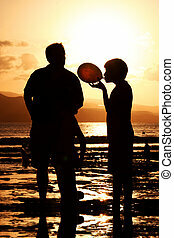 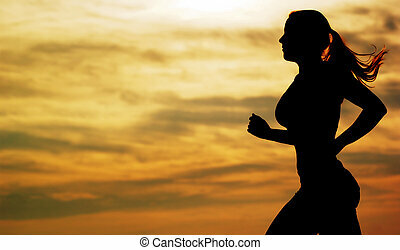 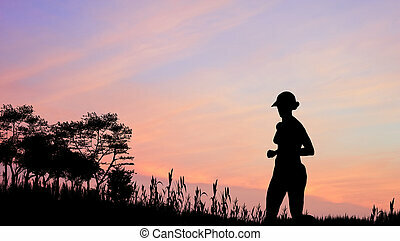 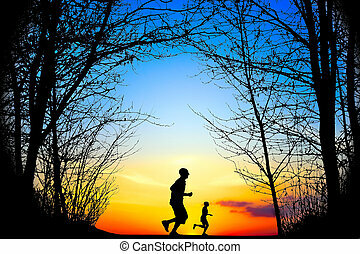 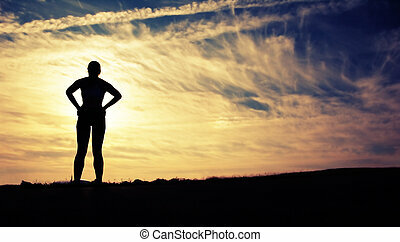 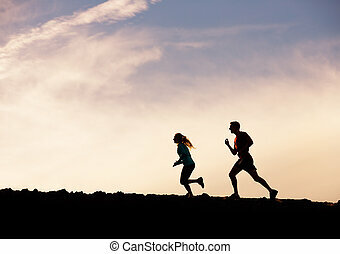 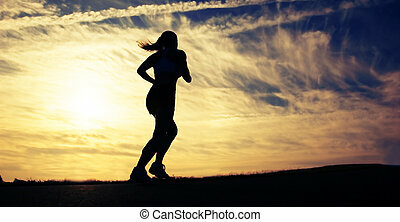 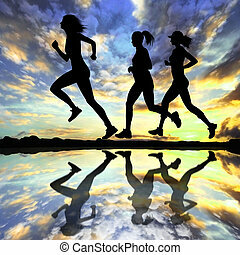 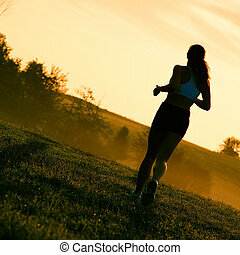 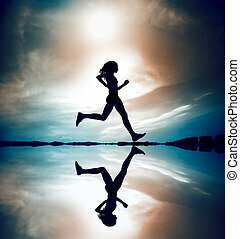 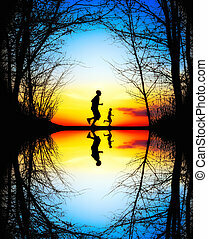 Beautiful young woman running in front of a sunset. 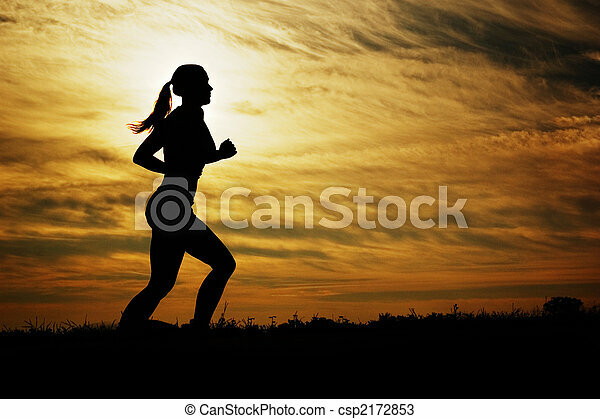 Beautiful young woman running in front of a sunset. 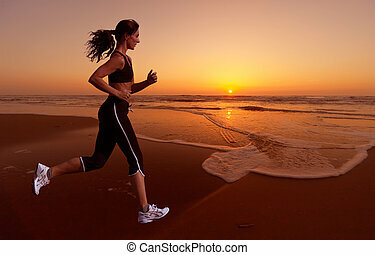 Woman running alone on beautiful sunset in the beach. 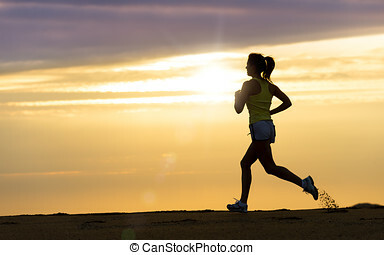 Summer sport and freedom concept. 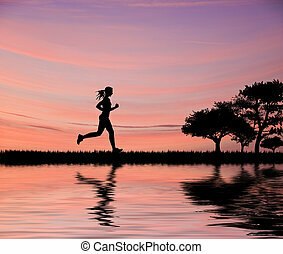 Athlete training on dusk. 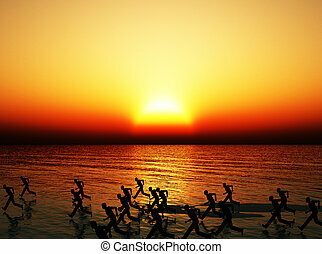 Lots of runners, running on a beach coastline. 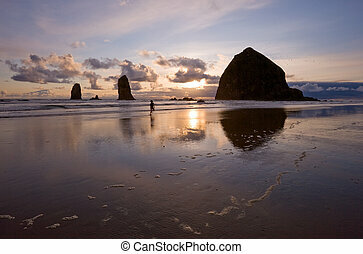 Sunset on ocean beach with monolithic rocks (Oregon coast), distant figure running in the surf, and detailed surf bubbles in the foreground. 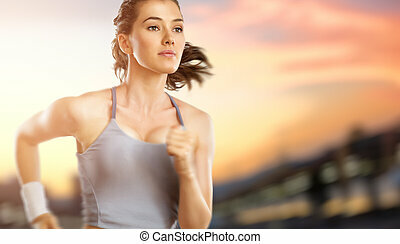 Beautiful young woman runner having a workout session.